We are proud to represent the Original African Mud Beaded Chandeliers. 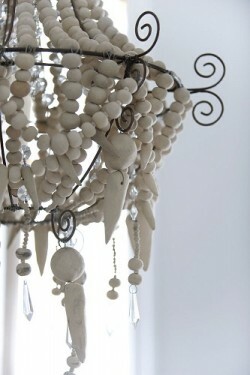 The Original Mud Beaded chandeliers are made from locally sourced clay in the Free State South Africa. Each clay bead is hand moulded by beautiful South African employees, air dryed and then hand threaded onto wire strands to which our original mud beaded chandeliers are formed. 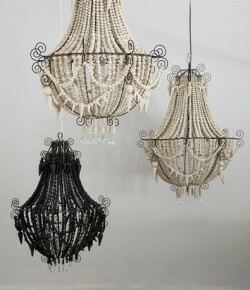 With a unique and earthy design each chandelier takes approximately 2 weeks to create. This product is part of a rural-employment clay-bead project driven by Werner and Phillippa du Toit to give a special support to the local community.